Humans and Bed Bugs have been living together for thousands of years. In the mid-1950s they were almost completely eradicated but due to restrictions on certain types of pesticides they have made a comeback and over the past several years have become a big problem in homes and in commercial facilities. Size: Small, flat oval-shaped insects about 6 mm in length. Colour: Reddish brown. Bed Bugs can be found anywhere humans are and have adapted well to our environments. Their small, flat shape allows them to hide and remain undetected in very small spaces such as crevices and cracks in walls, behind baseboards, inside electrical outlets, in folds of mattresses and furniture cushions as well as box springs and under carpets. They are highly mobile insects and their sticky coatings allow them to be transported to new locations by attaching themselves to clothing or luggage. They also travel on their own moving through wall voids, ducts, and false ceilings. Bed Bugs are extremely elusive and resilient and while they need blood to grow, they can go up to 12 months without feeding. Human blood is their favourite food although they will feed on the blood of any warm-blooded animal. Bed Bugs have 5 immature nymph life stages and 1 sexually mature adult stage. They shed their clear outer shell at each stage which can be helpful in detection. The lifecycle of a Bed Bug is typically 12 – 18 months. Their eggs are pear-shaped, whitish in colour and are approximately the size of a pinhead. The reproductive cycle of a female lasts for 100 days during which they produce 2 eggs per day. The presence of Bed Bugs in your home can cause stress and sleepless nights. In serious infestations, molting (shedding of outer skin layers) results in sanitation issues inside residences. It remains inconclusive whether Beg Bugs can transmit disease but their bites have been linked to skin rashes and allergic symptoms. Reactions from Bed Bugs vary from person to person and can include no reaction at all to red spots and raised, itchy lesions. Bed Bug infestations can cause a great deal of stress and anxiety for their hosts, not to mention sleepless nights. 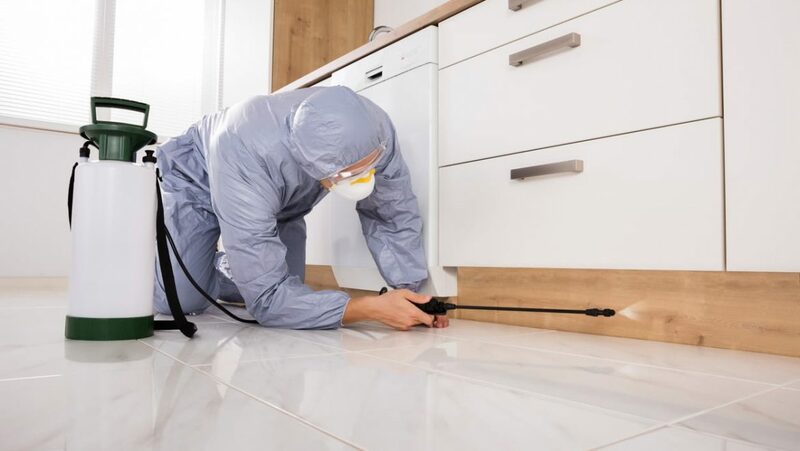 Cannon Pest Control’s strategies incorporate best-in-class techniques and protocols that achieve results in a cost-effective and environmentally friendly manner. The first step in dealing with Bed Bugs is to conduct a visual inspection of your residence to confirm their presence and assess the severity of the infestation. While Bed Bugs are relatively easy to see with the human eye, they are not always visible. Our experienced pest professionals have a deep understanding of how bed bugs operate and where they like to hide. If the presence of Bed Bugs is not readily detected, Cannon can deploy a NESDCA (National Entomology Scent Detection Canine Association) certified canine to inspect the premises. NESDCA is a well-recognized third party which sets out stringent criteria and testing protocols for canine Bed Bug detection. Benefits of Canine Detection Trusted Detection Experts – For years, dogs have been used very effectively and trusted for the detection of a wide variety of things such as drugs, bombs, fugitives, cadavers and mold. Accuracy – A trained pest management professional relies on visual identification only. Cost Effective – Canine detection is fast, cost effective and drastically reduces remediation efforts. Targeted Treatment – Dogs can pinpoint an infestation and allow for targeted application of pesticides or other treatment measures reducing impact and disruption to your household. Because Bed Bugs are extremely elusive and hide in places that are difficult to access, Cannon recommends a three-pronged approach: Steam – Infested areas are treated with high temperature dry steam. This steam is directed into cracks and crevices in walls and furniture including the mattress and box spring. Dry steam is effective at killing all stages of bed bugs on contact including the eggs. This treatment allows for most items of furniture to be treated instead of disposed of, saving $$ in replacement compensation. Dust – Wall baseboards are treated with diatomaceous earth (D.E.). This is a natural silica product that destroys bud bugs by abrasion, scratching their outer surface and causing them to dehydrate. D.E. dust has no expiry and properly applied will help control any future infestations. Residual Pesticide – A residual chemical treatment is also applied to potential breading and resting areas. This treatment is the least dependable method for control of bed bugs due to resistance in certain bed bug populations. Unfortunately it is the sole treatment performed by most “professional” pest control companies. Site Preparation is critical to the success of any treatment program. Prior to treatment a Cannon Pest Management Professional will consult with you and provide a pre-treatment checklist to ensure your home is ready. Our goal is ensure our treatment programs are effective and we can get the job done quickly and efficiently. Your Cannon Pest Management Professional will provide full details on treatment strategies and site preparation. At Cannon Pest Control we strive to minimize the disruption in your home, but safety comes first. For Bed Bug treatments it is required for people and pets to remain out of treated areas for a minimum of 6 hours. We also recommend that people with asthma, heart conditions, pregnant women and children under the age of 2 years remain out of treated areas for 24 hours. Our Pest Managmenet Professionals can answer any other questions you may have. Our Service Guarantee for detached homes where the entire house has been treated is 6 months. Unfortunately apartments and partial treatments of homes are not eligible for guarantee due to the ease of re-introduction from adjoining apartments/rooms.